A couple of weeks ago, I shared how our good friends at Twisted Pine Brewing Company were hosting a “Party with a Purpose!” to support Imagine!. 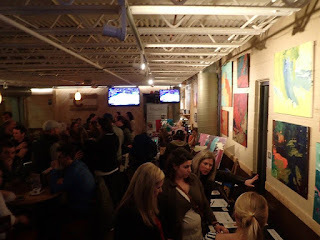 The event was last week, and by all accounts it was a huge success. 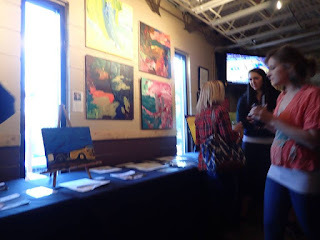 There was artwork on display for sale, featuring Imagine! 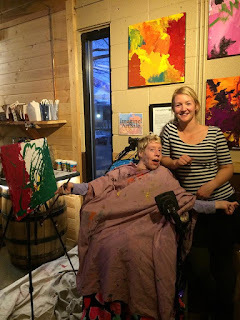 artists who work at Twisted Pine, along with artwork from other Imagine! artists. 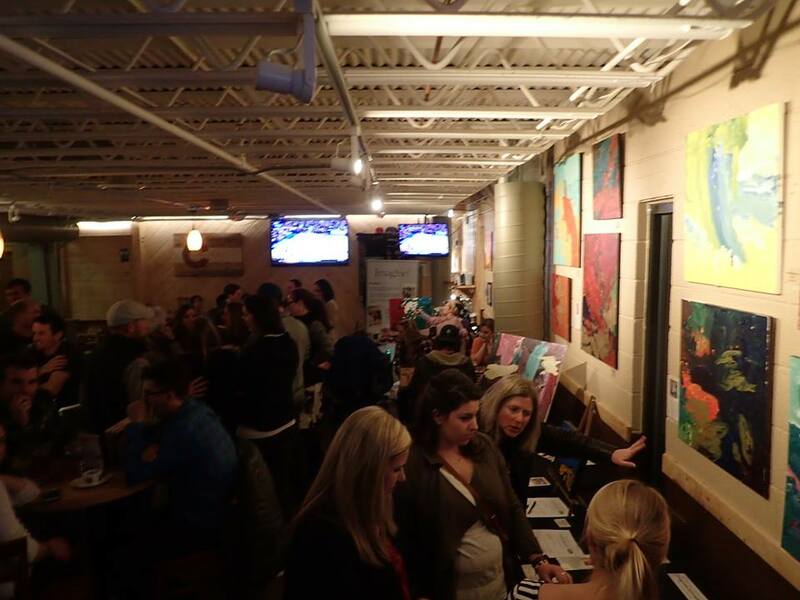 Many of the paintings were purchased by art-loving attendees, and proceeds from sales of the artwork went to the artist. The event also featured a small silent auction, and Shelly (pictured below), an Imagine! CORE/Labor Source artist, created an original piece during the event. 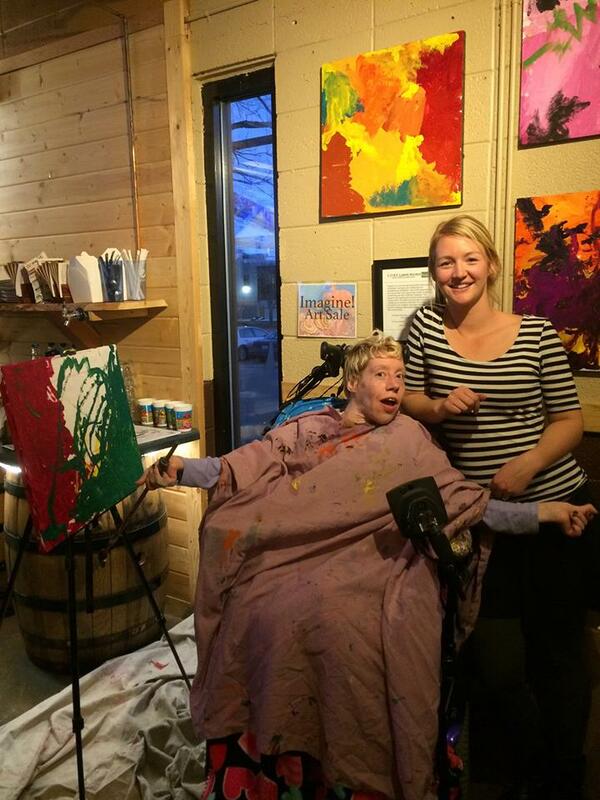 Additionally, 10% of all food and beer sales from the entire day is being donated to Imagine!. Below are a few pictures from the event. Of course, many of you already know that Twisted Pine has been a supporter of Imagine! and the people we serve for quite some time, support that we are amazed by and appreciate greatly. To learn how deep that support goes, I encourage you to watch the video below. 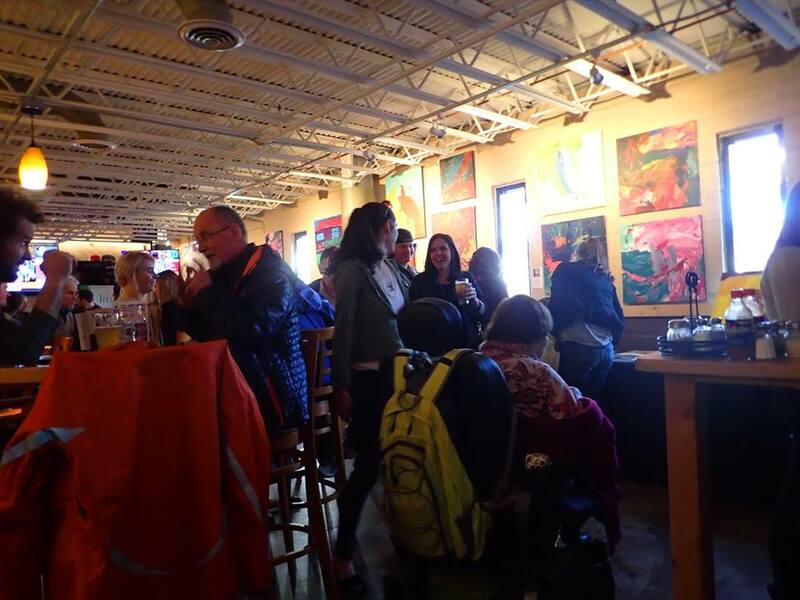 The next time you visit the awesome Twisted Pine Brewing Company, located at 3201 Walnut St. in Boulder, be sure to tell them “thanks” on behalf of all of us at Imagine!.